Thursday night jam at the Homosassa River RV Resort and Campground! Can someone tell me what are some other things my husband can do while I am taking classes besides visiting the manatees, which we both want to do? Hi, Cynthia - there's quite a lot to do. There's a wildlife park nearby and plenty of fishing, boating, kayaking and eateries nearby. If we wanted to fly down where would you suggest we fly in to? You could fly into either Orlando or Tampa; whichever is more affordable! One more question. Is there a price for my husband, who wants to come down and enjoy the concert and the area itself or does he just come free? I want to pay for me and need to know what to do for him as I don't seem to be able to find a registration form, just the PayPal. There's a $10 non-participant fee for the concert - other than that, your husband can wander the resort at his will! Hi, Kathy! Thanks for signing up! You are confirmed - we don't send any info prior to the retreat; everything you need to know is right here on this page. 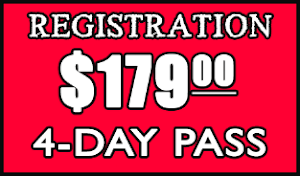 Don't forget to make your lodging reservations and mention that you're attending the retreat for a discount. We look forward to having you! Thanks! We are looking forward to the retreat. Wintering in the Lake Placid area. Are there ever any dulcimer events in this area? Hi! 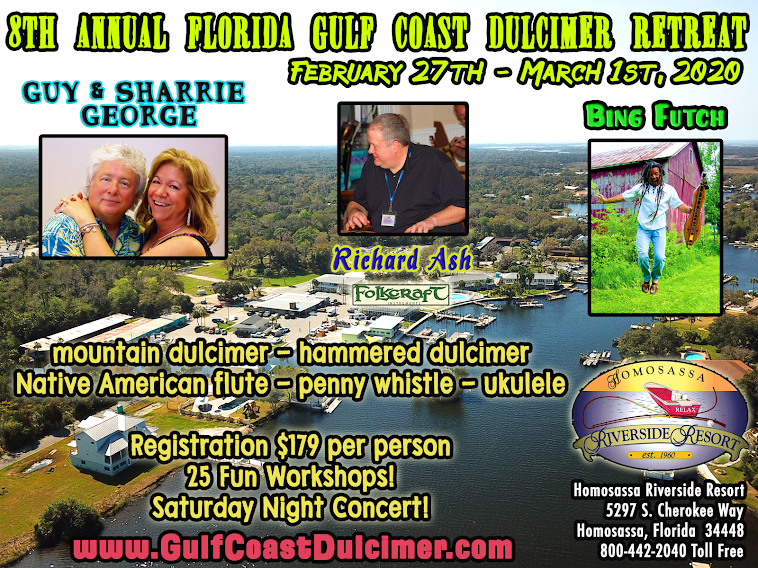 I'm not familiar with the area, but you might try EverythingDulcimer.com for a listing of events in your area. Good luck! I only play MMS.Are there loaners for other classes? Bing I already paid for my husband but he really does not want to take any workshops, he is just coming to be with me and jam on his mandolin/guitar. I did not know he could pay $10 and chill. (as in the question up above) Is there any chance of a refund for him? Karen, yes - see the registrant when you arrive at the retreat. See you soon! :( Is there any way we could get a refund? I paid for both my husband and myself. Thanks.